Stampingleeyours: Beautiful Inside and Out!!!! My Team! Beautiful Inside and Out!!!! My Team! Today I want to share a very special picture with you. I hope you enjoy seeing some of the Faces of my downline. These ladies are Beautiful inside and out!!! 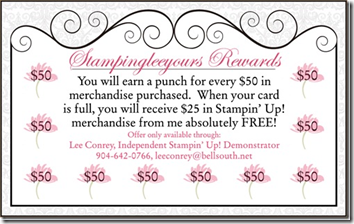 We are the Jacksonville STARZ Stampin’ Up! Demonstrators and we do Charity events in our community about every other month. We hold large Stamping events and have been fortunate and blessed enough to help so many. It’s such a Win-Win to be able to Love what we do and Share what we Love and make a difference in our community!!!! Where else can you do that???? With that said….I would like to present my team of girls with you. Donna Thames, Lisa Swett, Myself (Lee Conrey) Gina Little, Janet White, Lisa Tyndall and Christina Cummings!!! Unfortunately Susan Best and Rose Ann Marr were not able to attend our little photo shoot. Want to see more? Now we’re goofing off or saying…”Yes” we can do this!!! Together we shake things up and make things happen. We are a TEAM!!! That’s it for today….I’ll be back tomorrow with more pictures of our event that we had this past Saturday. It was for the Special Olympics. Photography compliments of AbbyLeighMichaels Photography! Angel Batterson Owner. WOW...great pictures of your team...how wonderful that you are so active in your community...keep up the great work! Hi Lee! What beautiful pictures of your team. I love them all but the last one holding hands is so sweet.